We’re looking forward to another great FS-ISAC summit next week in Miami. Twice a year, the Financial Services Information Sharing and Analysis Center (FS-ISAC) holds information sharing events, where industry leaders come together to network and share the latest in combating cyber threats and new technology innovation. During the summit next week, Agari will host various on-site activities, including a presentation by our CEO Patrick Peterson and Aetna CSO and NH-ISAC Chairman Jim Routh. 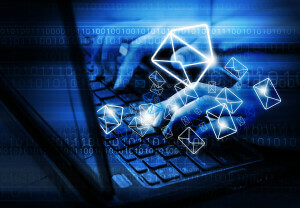 Together they will tackle a question that we hear from frustrated companies on a regular basis: How is email STILL the #1 vector for cybercriminals? From our perspective, this question – and the accompanying frustration – is valid. As despite the growing investment in cyber security technology from myriad companies, 2016 is shaping up to be the Year of the Cybercriminal. Phishing campaigns that targeted consumers have cost financial institutions more than $4.5B in the last year alone. Breaches continue to make the news headlines on a shockingly regular basis. There is no end in sight. We hope you’ll join us on Wednesday, May 4th at 2:15 pm ET to hear Jim and Pat tackle this question, discuss their shared experiences and lessons learned in the ongoing battle for secured trust in the email channel, and explain how technology is evolving to allow a holistic approach to email security. You can also visit our booth during the event for practical next steps in securing your email channel from damaging email attacks. Click here to get more information about the FS-ISAC Summit.